This post is a part of the Austin Food Blogger Alliance’s 2015 City Guide: The Best Places to Eat in Austin. Check it out! I spent a part of my late childhood in a frozen wasteland known as South Dakota. In elementary school, the bus would pick you up and take you home if you were more than a mile away from the school. Once you reached junior high, though, you had to find your own transportation. What that really meant for me was that I had to walk home — 20 miles in 20 feet of snow, uphill both ways. Except it was really 1 mile, flat as a board, and, because I’m only 4’10”, 20 feet meant probably not very deep at all. Nevertheless, I usually arrived at home a pint-sized human popsicle. About that time, Mom started baking yeast sweet rolls. When I walked into the house, the toasty warmth from the oven hit first. Then the delicious smell of baked bread wafted into my frozen nostrils. Divine. Best of all was sliding those warm, sweet rolls into my mouth. It almost made up for the cold. Almost. Imagine putting a dimple in that soft sweet pillow and adding some fruit filling, or wrapping that yeasty baked goodness around a bit of delicious meat. What do you get? Kolaches! 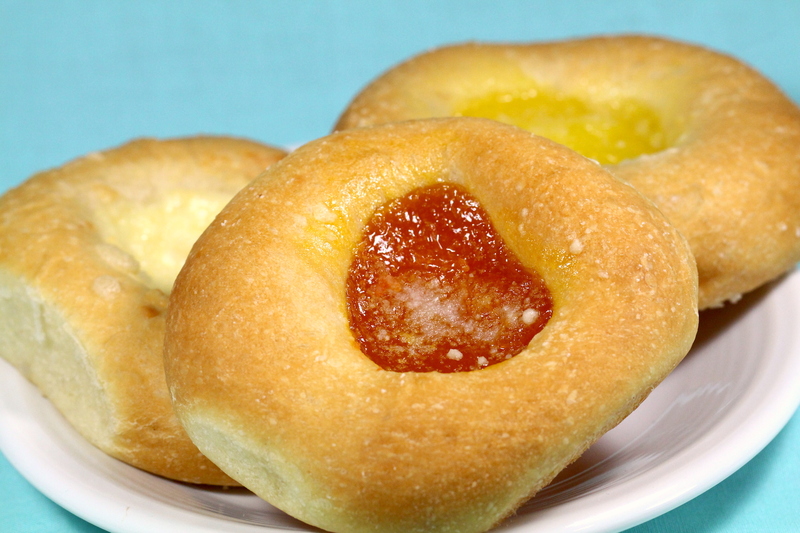 Originally a wedding dessert, Kolaches were introduced to America by Czech settlers. At some point, they became a delicious breakfast food. I’d walk a mile in the snow to get a kolache. Fortunately it rarely snows in Austin, and my car works just fine. 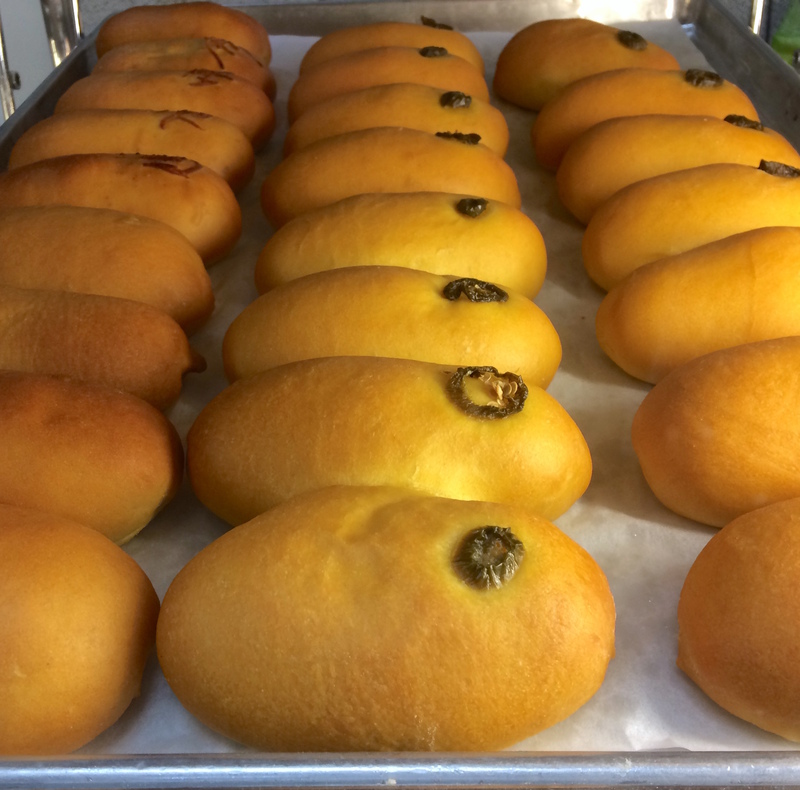 Traditional kolache flavors include prune kolaches and poppy seed kolaches. 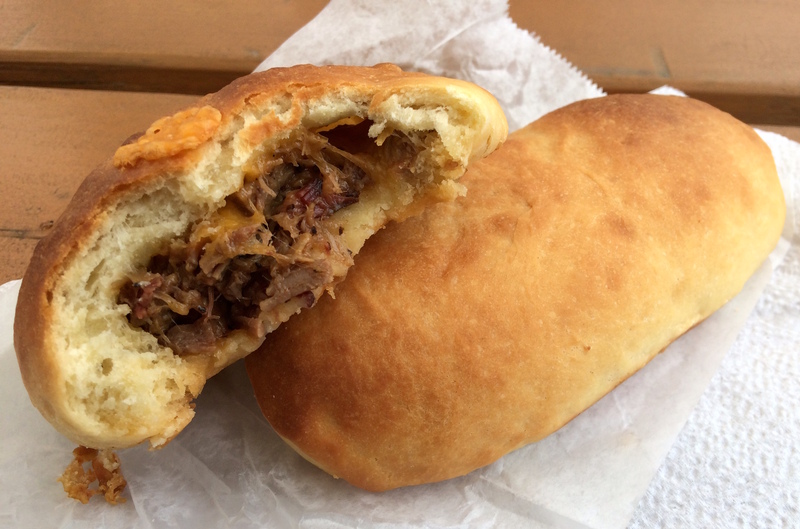 At some point, the meat variety originally known as klobasnek became known as kolaches, too. One of the best kolaches I’ve ever eaten was made by Kerlin BBQ. 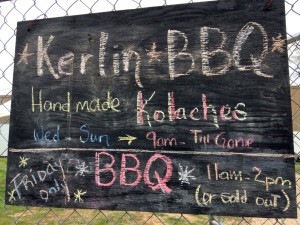 Parked on a lot in East Austin, Kerlin BBQ sells barbecue on Fridays only. The rest of the time, they serve the best meat kolaches you can put in your stomach, both brisket and sausage varieties. 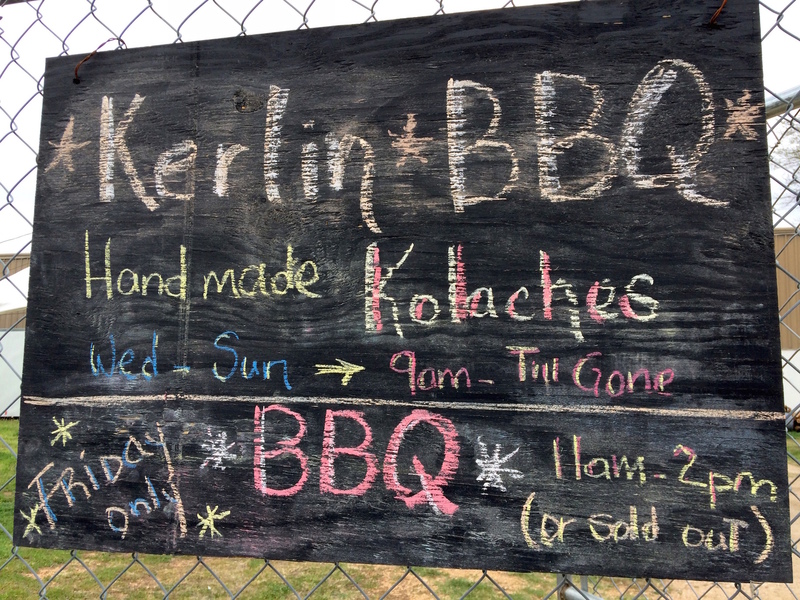 The brisket is Kerlin’s own. The sausages are made by local meat market Smokey Denmark, but enhanced by Kerlin’s smokers. You really gotta try one. Or two. You can find kolaches all across the Austin area — kolache shops, donut shops, and shops that sell other foods mostly but also sell kolaches. 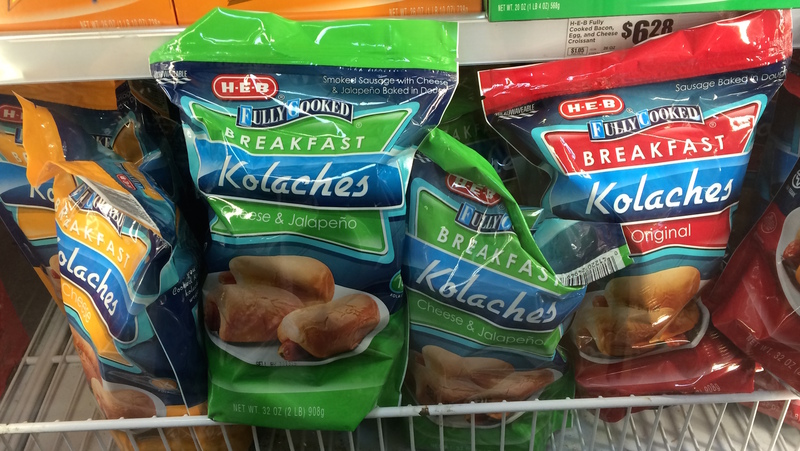 TIP: If you’re having a late-night kolache attack, you can buy some in the frozen section of your local Central Texas HEB supermarket.